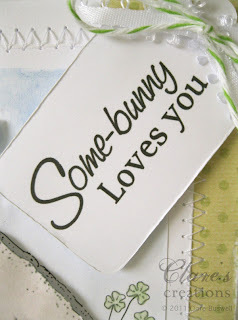 Paper Garden Projects have some cute digital stamps for Valentine's! Loving Critters Digital Stamp Set has a sweet bird image, a cute raccoon and this sweet bunny in it, along with 7 sentiments! 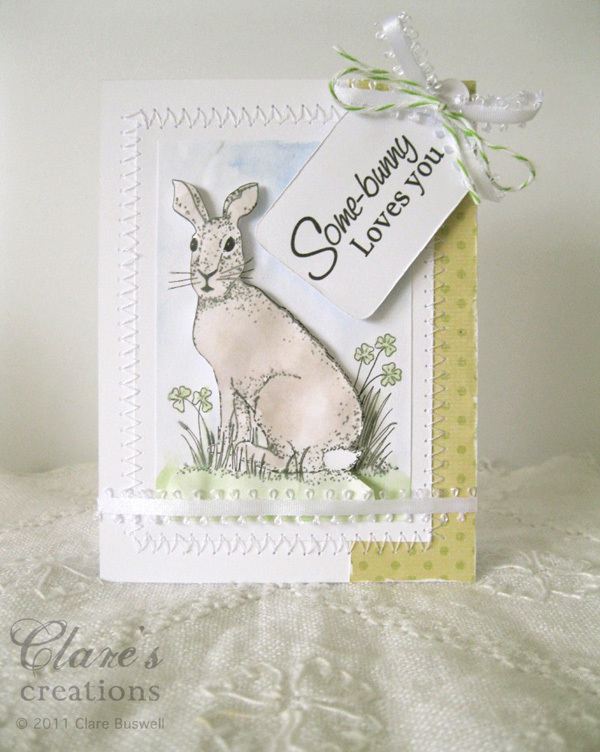 I had to use the bunny image because I've a real soft spot for bunnies, I had 4 when I was a kid, loved them to bits! I used the Sizzix Scallop Tags for my sentiment and added a little white picot ribbon and some apple/white Baker's Twine from The Ribbon Reel. Simply sweet and adorable! Love the popped up image. Oooo nearly missed this beauty ... fabulous card ... live the sentiment! 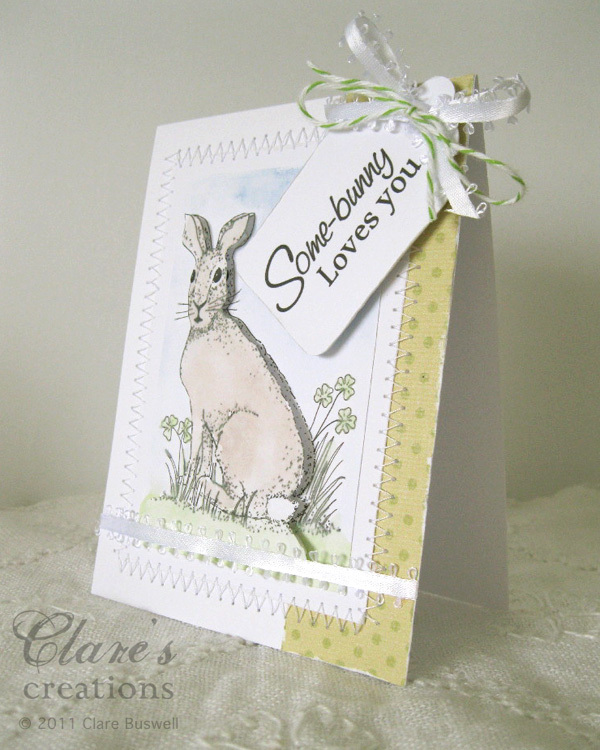 This bunny reminds me of the books of Beatrix Potter; such sweet memories.... And your card is so lovely to look at. Gorgeous!